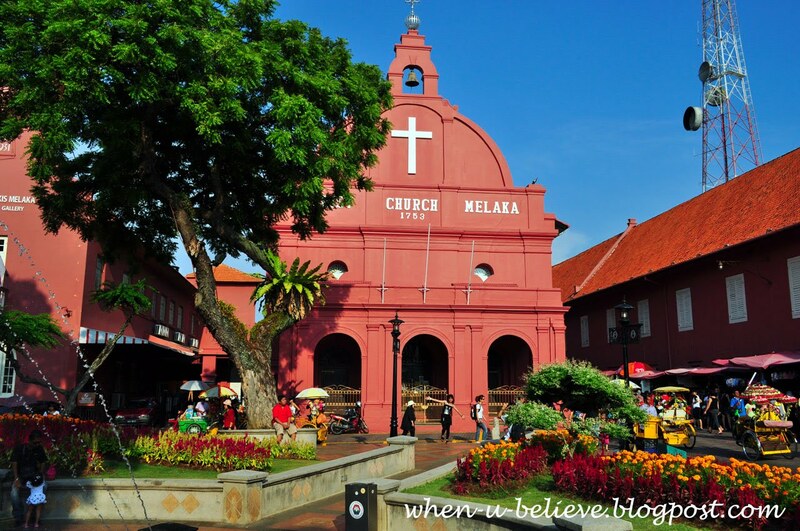 Malacca is the third smallest Malaysian state, after Perlis and Penang. The capital of this state is Malacca town. A town rich in culture, this historical town centre has been listed as UNESCO World Heritage Site since 7, July 2008. This is my entry for the fun and wonderful weekly meme, Scenic Sunday. To participate or view other pictures around the world, click on the icon below. 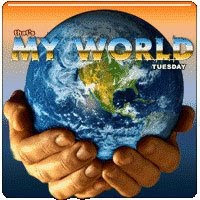 This is also my entry for My World Tuesday. To view other participants click here or the icon below. Wow, the church is such a bright colour! It was a sunny afternoon. I found the church and surroundings very colourful and took a photo of it. Beautiful architecture of the church and great info. A very lovely view of the church with the beautiful flowers in the courtyard. the colors are all so vivid! lots of strong colors here, maybe we can borrow some? It is a beautiful church, very colorful! I love this photo. The contrast between the green of the plants, the blue of the sky, and the bright color of the church is striking, as is the contrast between the old church and the modern cell tower. Lots to see here! Love the architectural style and the vibrant colour! I've heard of Melaka...what a lovely church! I love the clay color. I've been to Malaysia but missed this town...too bad! Thanks for stopping by at my SS. I love this place, always walk around and climb up the hill. This is a church with a happy color. I'm enjoying browsing through your nice blog. That's a wonderful shot of the church and an interesting post. Beautiful colorful photo. Is that a reflection of you with camera in a car mirror for your "blog photo"? Lovely shot of the church. Thanks for visiting my blog.